Welsh Open Snooker Ronnie O’Sullivan came from 5-2 down to beat Neil Robertson 9-5 in the final of the BetVictor Welsh Open Snooker in Cardiff. The match appeared to be going Neils way when he controlled the early stages, but a small amount of errors in the evening session cost him as O’Sullivan produced the form he has shown throughout the event. Ronnie then produced a run of seven frames in a row, in a week which has seen him produce brilliant snooker even by his own high standards. 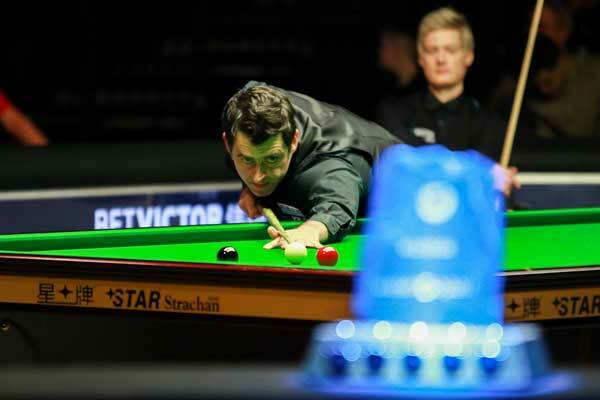 Ronnie won his fourth Welsh Open Snooker crown, matching the record set by John Higgins last year. This was Ronnie’s 28th ranking title of his career, equaling the tallies of Higgins and Steve Davis. Neil Received £30,000 pounds for runner up and mentioned that at 5-3 he should have gone 6-3 in front and the match may have had a different outcome. On the form that O’Sullivan showed i imagine if that scoreline had happened he would have played even harder and still come back to win as it seems he’s getting better. Hopefully now he will Enter the World Grand Prix and win that before the Worlds and possibly equal Steve Davis at 6 World Titles. The other Professionals have also noticeably started to raise their games as well with Ronnie back so hopefully the World Title will be a great standard this Year.